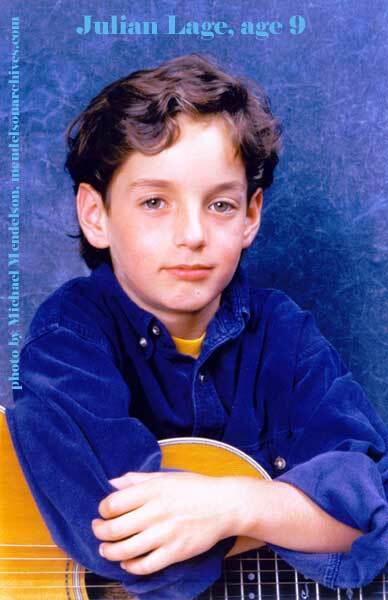 Julian Lage, age 9 with guitar. Julian has many famous musicians as friends, and plays with the likes of Carlos Santana, Pat Metheny, Gary Burton, Steve Kimock, Charles LLoyd, and Christian McBride. Everyone loves Julian.... Friends with Carlos Santana and played Maggot Brain with Carlos at the Concord Pavillion.